I've been doing this mom thing here in Lawrence for three winters now. On days like today when the temperature is a brisk -1, most everyone is hunkering down and staying in as even school was cancelled. First thing this morning I rearranged a well child check up so we can truly just stay home today. This winter just keeps on going with low temperatures and bold wind chills. Outside play is next to impossible. So what is a mom to do? Here are our 5 favorite indoor activities. 1. Go to the library. Our little town is blessed with one of the best libraries in the country. They have story time for the littles multiple times a week and when there isn't story time, they have a train table, block table, puppet theater, reading nooks, computers and oh yeah, ALL the books you could want. More information - Lawrence Public Library. 2. Visit The Toy Store. My kids favorite store downtown is The Toy Store. We could easily waste an hour just looking around and playing with the toys on display. Aside from the obvious entertainment, they also have regular events for the children to attend including a story time and drum circle. It is so diverse, last summer we made stepping stones for our front yard at one of their events. More information - The Toy Store. 3. Attend open gym at the Sports Pavilion or East Lawrence Recreation Complex. Another thing our town has been blessed with is many recreation centers and the mother ship, the Sports Pavilion. They frequently host open gym sessions at this massive rec center where the gymnastics equipment is open to toddler parents (and youth) for a small fee. Grace has LOVED her gymnastics classes at East Lawrence and it is a great way to burn some energy. More information - City of Lawrence Parks and Rec. 4. Spend an afternoon at LOL indoor playground. If you are looking for a great place to meet up with friends or make new ones, LOL Family Zone downtown is a great option. We haven't been since I gave birth to Emily, but both girls love the indoor playground, giant trampoline bubble and all the make believe toys you could want. It costs to get in the door, but you can easily spend hours inside. Especially since they also have food! Just remember to wash your hands when you leave! More information - LOL Family Zone. 5. See the animals at Pet World Experience. This place is like a little zoo within our little town. I had heard great things but it took us forever to actually visit. If your kid loves animals they will love this family run pet store. You can even feed the animals if you arrive at the right time... making this a good way to spend the cold afternoons when the local zoos are closed. More information - Pet World Experience. In the winter months we tend to stay home, just because it is easier. With three children, three coats, and three times the amount of winter gear required to stay warm... it just isn't worth it. But Emily is becoming mobile and sometimes a break from chasing her around the house is just needed. 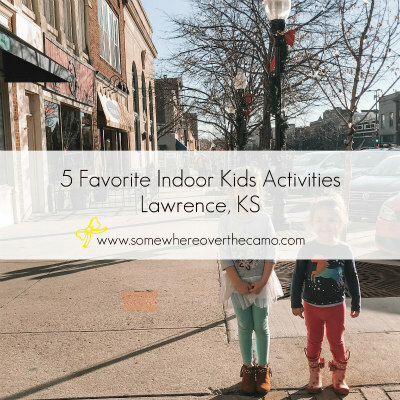 What is your favorite indoor activity in your town? These are great indoor activities!!! :) Hope you guys warm up soon! Such a great article with fun ideas!